Emerald Isle, NC: Crown Hotel & Travel Management was proud to host its 1st Annual Crown Awards in the grand ballroom at the Islander Hotel & Resort. The Awards Ceremony and Banquet is an opportunity for the entire Crown Corporation to come together and honor our management and associates. Four awards were given out at the ceremony: President’s Award, Hotel, General Manager, and Employee of the Year. 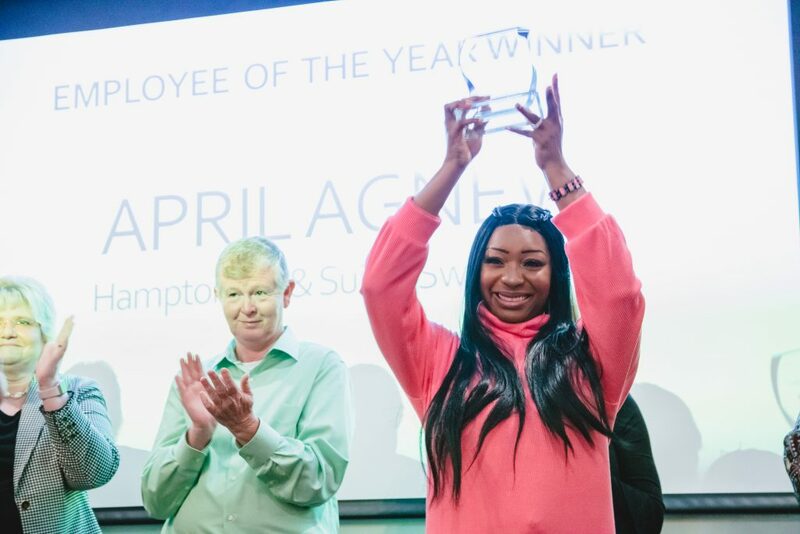 Awards are given to the Hotel, General Manager, and Employee that have shown exceptional performance in guest service, hotel operations, teamwork, stewardship, and financial achievement. 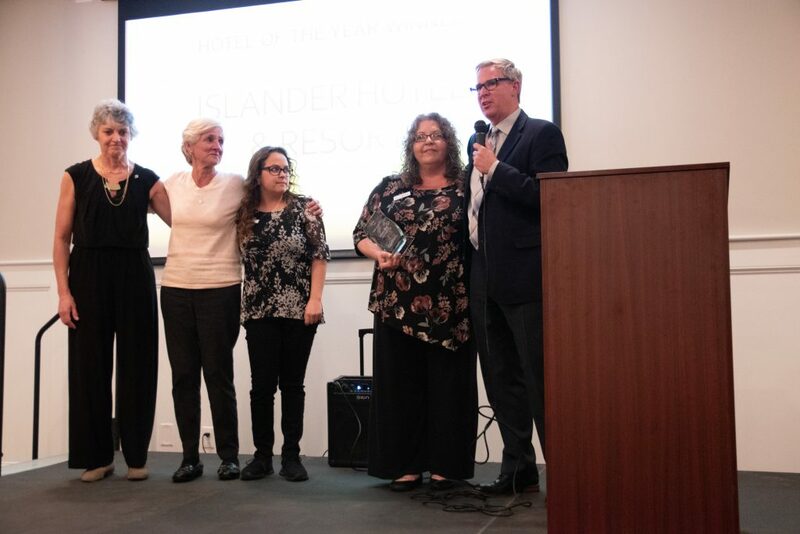 Marty Bush, General Manager of the Islander Hotel & Resort was awarded the Hotel of the Year, Karen Felix from the Hampton Inn & Suites Swansboro was chosen as General Manager of the Year, and April Agnew from Hampton Inn & Suites Swansboro received Employee of the Year. The President’s Award was presented to Tiffany Sidberry, General Manager of Fairfield Inn & Suites Dunn I-95. This award is given to one individual in the company who represents every aspect of our company motto – Vision, Leadership, Results. 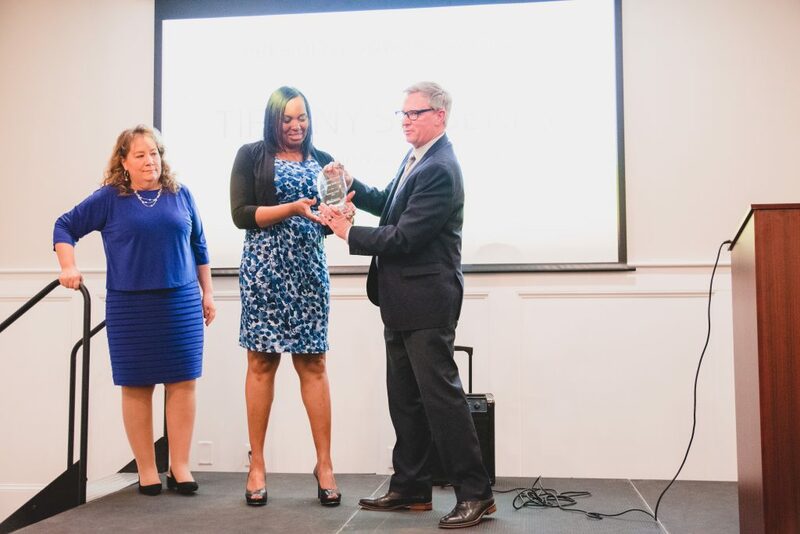 Tiffany was instrumental in improving the quality of her hotel’s culture and guest experience, all while keeping a consistently positive attitude and disciplined work ethic. Her Vision for success and unwavering Leadership produced exceptional Results. 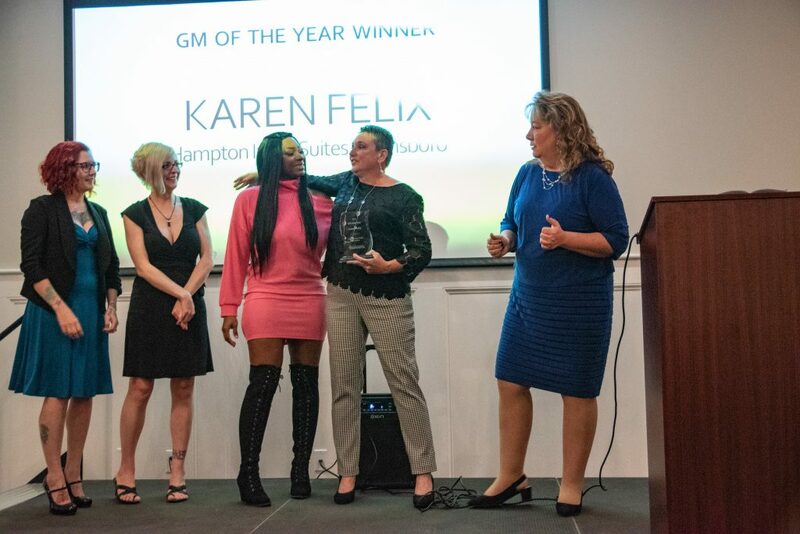 She was also awarded the Marriott Silver Circle Award for maintaining guest excellence at the 2019 Marriott General Manager Conference. Employee of the Year nominees: Felicia Golden of Palm Suites, Carol Mortensen of Islander Hotel & Resort, April Agnew of Hampton Inn & Suites Swansboro, Marissa Wenrick of Hampton Inn Sneads Ferry North Topsail Beach, Jill Vaccaro of Holiday Inn Express Leland-Wilmington Area, Melva O’Neal of Hampton Inn & Suites Hartsville, Christine Kalenowski of Fairfield Inn & Suites Dunn I-95, and Benita Myers of Hampton Inn & Suites Knightdale Raleigh. Congratulations again to all of our 2018 winners and nominees! See you next year! Copyright © 2019 Crown Hotel and Travel Management. All Rights Reserved. Web and Email Hosting by Wordwright Web.